This fortnight Patter has given us the word "Others". When I did a keyword search on BibleGateway I came across the verse I have used on my page. 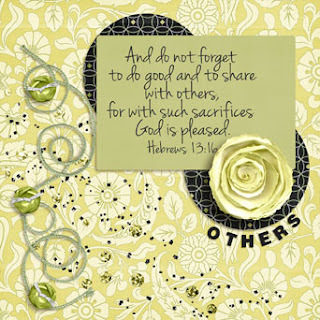 This verse reminds me of my husband who is always willing to help and give to others. He is a real inspiration to me.